He served a nuts-and-bolts apprenticeship in the engine room of the labour movement, doing research for several unions’ organising campaigns. Today, he’s an influential proponent of new approaches to low-wage work that have reoriented how many economists and policy-makers understand the issue. Schmitt is a senior economist at the Center for Economic and Policy Research in Washington, DC. 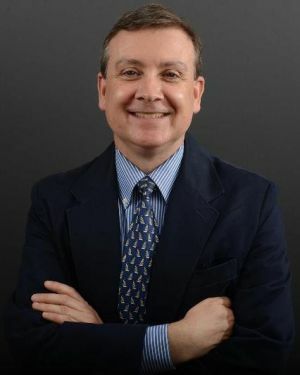 He also serves as visiting professor at the Pompeu Fabra University in Barcelona, and was a Fulbright scholar at the Universidad Centroamericana “Jose Simeon Cañas” in San Salvador, El Salvador. He holds degrees are from Princeton and the London School of Economics. IPS correspondent Peter Costantini interviewed him by telephone and e-mail between August and December 2014. Q: Among policy prescriptions for reducing income inequality and lifting the floor of the labour market, where do you see minimum wages fitting in? A: I think the minimum wage is very important. It concretely raises wages for a lot of low and middle-income workers, and it also establishes the principle that we as a society can demand that the economy be responsive to social needs. It’s a legal, almost palpable statement that we have the right to demand of the economy that it serve us and not that we serve the economy. It’s not the solution, in and of itself, to economic inequality. But it’s an important first step. Two of the last three increases in the minimum wage were signed by Republican presidents, with substantial support from Republicans in Congress. So it’s a very American institution that has had a long history of bipartisan support. And it’s an easy first step. It’s something that we’ve had in this country since the 1930s, and it has broad political support. It regularly polls way above 50 percent, even among Republicans. And in the population as a whole, 65 to 75 percent of voters support it. And it’s effective in doing what it’s supposed to do, which is raise wages of workers at the bottom. It does exactly what a lot of people think our social policy should do: reward people who work. Almost everybody agrees that if you’re working hard, you should get paid a decent amount of money for that. Q: Beginning in the early 1990s, a new approach surfaced that challenged the old contention that minimum wage increases reduce employment among low-wage workers. A: It was called the New Minimum Wage research. A lot of economists at the time were looking at the experience of states that had increased the minimum wage, and were finding that state increases seemed to have little or no effect on employment. It caused a lot of controversy, which is still raging. I think the profession has moved a lot towards the belief that moderate increases in the minimum wage, like the ones that we historically have done, have little or no impact on employment. I think what most economists are persuaded by is that the empirical evidence is not that supportive of large job losses. There’s just a lot of good research out there that consistently finds little or no negative employment effects. The textbook model for how the labour market works is just a vast oversimplification. It can be useful in some contexts, but it’s not useful to understand a pretty complicated thing, which is what happens when the minimum wage goes up. One of the key insights is that employers aren’t operating in a competitive labour market nor are employees. There’s the possibility that employers make adjustments in other dimensions besides laying workers off: they raise their prices somewhat, or they cut back on hours [without layoffs]. Q: So from a worker’s point of view, I still come out ahead. Low-income work is already very unstable. A: An important ingredient here is labour turnover. There’s a new paper that looks very carefully at what happens to labour turnover rates before and after minimum wage increases, and finds substantial declines in turnover for different kinds of workers. A different analysis looks at a living wage law that was passed at the San Francisco airport a few years back. They found something like an 80 percent decline in turnover of baggage handlers after the minimum wage went up, the living wage. People who don’t work in business don’t fully appreciate that turnover is extremely expensive, even for low-wage workers. Filling a vacancy can be 15, up to 20 percent, of the annual cost of that job. The people who have to fill it are managers, using their more expensive time. And meanwhile, you’re losing customers. Q: What happens when cities increase the minimum wage? A: I have a lot of faith in the democratic process. So when a city focuses on where to set the wage, a lot of people weigh in: business people, workers, unions, community organisations, low-wage workers, local academics. There’s a city-wide conversation. And I think this is one reason why we consistently don’t see big employment effects: that process usually arrives at some wage that’s a vast improvement over what we currently have and within the realm of what the local economy can afford. Q: How do you see the 15Now movement, the fast-food workers movement, changing the labour movement? A: There’s a lot of dynamism behind the fast food and 15 folks and what’s happening in Seattle, a lot of city and state campaigns to increase the minimum wage. They’re putting a focus on wages and wage inequality, and the need to reward people for working hard. They’re also focusing attention on other issues that are going to be really important in the future: for example, scheduling questions. One of the recurring problems for fast-food and retail workers is not just that their wages are so low, but also that they have little or no control over their schedules. I think any time you have people agitating for economic and social justice and getting national attention, it’s encouraging for the possibility of turning around three going on four decades of rising economic inequality. Edited for length and clarity. For full interview, see version on IPS blog. Edited by Kitty Stapp.